For Fantasy Football fans a site, Roto Street Journal is free, and has featured a recent article by you know who about Mark Helfrich. Their site can be read by clicking here. A terrific recruiting and information site is 24/7 Sports (CBS) and while they are subscription–the gems of information are well worth the modest fee per month. (They do football recruiting and are a force in Basketball.) The folks at that site have shared information with us at this site for years, and check them out by clicking here. The other subscription site I suggest is Duck Sports Authority (Rivals.com) as A.J. Jacobson does an interview of coaches and players like none other; check their stories and message board (forum) by clicking here. There is a free message board, Ducks Attack, that you can read up on new Oregon football topics and participate by clicking here. Addicted to Quack is another free message board… They have a lively group that discusses Ducks in a daily ongoing thread called the Quack Fix, and you can go to their site by clicking here. Nichole Brown has a great Oregon site (free) in Gridiron Girl and covers Oregon sports. Read her by clicking here. Kurt Liedtke has a tremendous YouTube (keeerrrtt) channel with hundreds of videos in different categories. We will be linking many of them in the upcoming new sections on FishDuck.com, but there are many we won’t feature and you’ll want to check out. 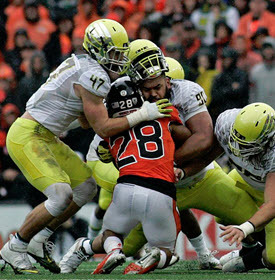 This is a tremendous free resource for Oregon fans that you can find by clicking here. Paul Land has created an amazing Oregon Football History site of articles in Duck Downs, that covers from the Ducks’ beginnings up to 1994. 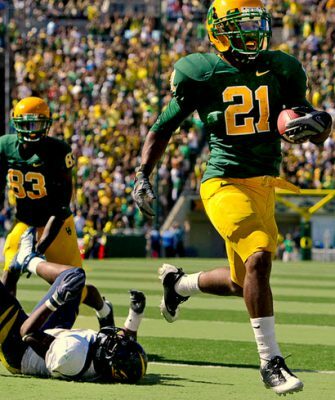 We will feature his work in our upcoming History of Oregon Football section on this site to join the over 200 articles from FishDuck.com. It is wonderful work by Benzduck and can be read by clicking here. Oregon Gridiron has the latest videos and information for recruits and fans; find them by clicking here. Go to GoDucks.com (the official Oregon Pravda site) and check out updated information for all sports. I like to go to the schedule on game day, and click on the game and then have the choice to catch the current score. This is handy when I’m at work, want to know a softball score, etc. OregonLive is the online version of The Oregonian newspaper, is free and the Ducks Sports can be found by clicking here. NBC Sports NW covers the Ducks deeply online (and free) and has a number of sportswriters to keep up with and you can find them by clicking here. Twitter – There are millions of things to follow to stay up to date on the Ducks as virtually every sports has their own account plus one for the fans. Also, many analysts, specifically for the Ducks, Pac-12, etc. have accounts as well; and their quick knowledge-dropping is fantastic. One Click Sports is a data aggregator that lists many articles about the Ducks throughout the day. Just click on the links they provide and that site is here to click on. 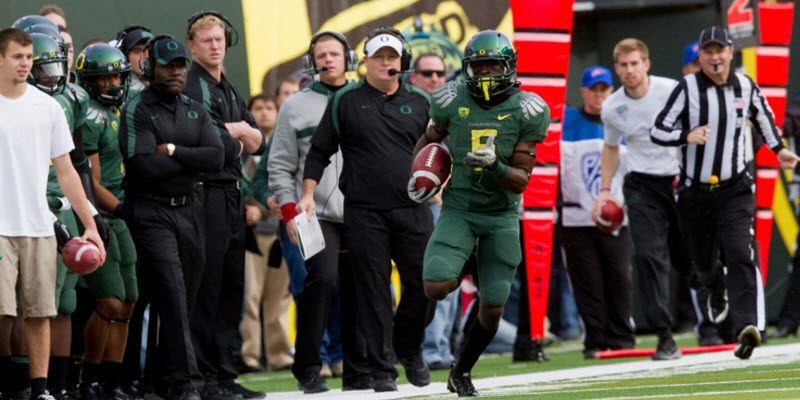 Do check the Pac-12 site for interviews as they have information, stats and videos involving Oregon…. click here. Bill Ogden, Chile Duck, has put together a wonderful ongoing depth chart of every position on the football team, and you can see it by clicking here.